Small businesses are often resource hungry beasts. They gobble up time and energy with their constant appetite for admin, paperwork and bookkeeping. If you’re caught up in the battle to control your business, you may find that feeding the beast eats up all your time, energy and resources. Admin Army are your troops on the ground. We make sure that the tasks that keep your business moving are delivered on time and exactly as you want them. Our highly skilled admin assistants are here to help as your partners: giving you the backup you need to keep control your business and stay focused on future growth. 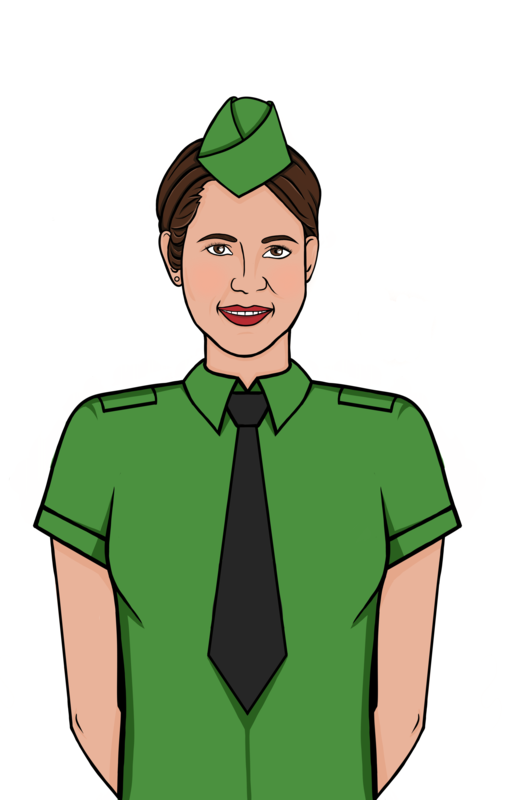 Irene manages the day-to-day operations of Admin Army and makes sure that everything runs smoothly. Her background in businesses of various sizes, as well as not for profit organisations, sees her well-qualified to work in partnership with Admin Army’s clients. Irene’s focus is helping clients to achieve their goals while supporting their business growth. She’s a Certified Bookkeeper (through the New Zealand Bookkeepers Association), Xero Certified and is a master of the art of administrative control. 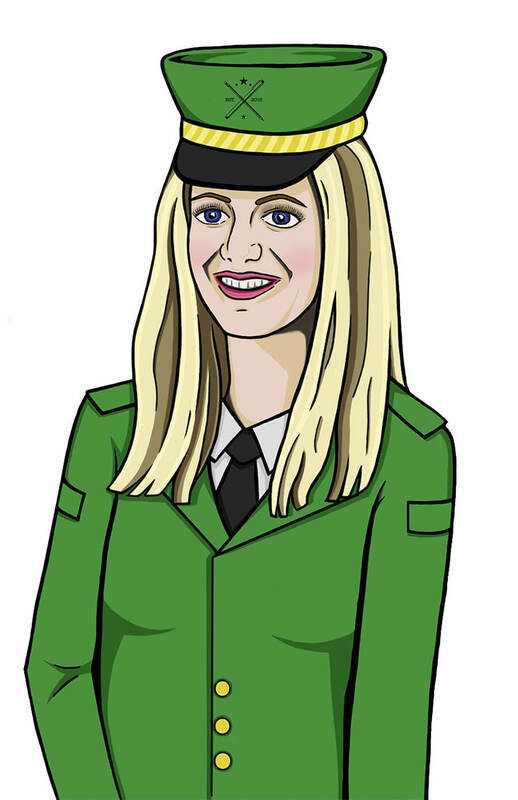 When she’s not 100% focused on delivering the best product and service, she’s keeping a tactical eye on the future growth of the Admin Army business. Irene also takes time to practise what she preaches; believing in downtime from Admin Army and the benefits that come from maintaining a work-life balance. Outside day-to-day operations, Irene can be found walking or exploring the countryside with Gryff; pottering in her veggie garden; or watching endless repeats of the Harry Potter movies (she’s a big fan!). Every great army needs a strategic thinker behind the scenes. That’s where Rich comes in – as Irene’s right-hand man and the sounding board for tactical decisions about the business. Rich joined the Admin Army team in a fulltime capacity in November 2018. Since joining Rich has become Xero Certified and is working towards his Bookkeeping Certification. As a qualified butcher with a background in retail management, the disability sector and a Bachelor of Applied Science majoring in Psychology: Rich brings a huge range of skills and a broad perspective to the squad at Admin Army. Melanie is Xero Certified and currently studying towards her Diploma in Accounting. She’ll happily go into battle for any of our clients to make sure that bookkeeping doesn’t get in the way of running their business. A qualified beauty therapist and lecturer, Melanie got into accounts over five years ago after discovering a love of numbers. Her favourite tasks include solving problems, and nothing makes her happier than when those numbers all balance up! In her free time, Melanie loves being outdoors, walking on the beach and tramping. More recently she can be seen out and about riding her bike. With more than 15 years’ experience as an administrator/office manager in the medical and educational sectors, Anél is more than qualified to tackle any task passed her way. Anél knows what it takes to deliver you those quality end results your business is after. Anél loves helping small business owners take control of their admin and cites her admin superpowers as her attention to detail and ability to streamline processes. She’s also our go-to lady for all website backend data entry tasks. When Anél isn’t busy at Admin Army you’ll find her in her amazing little shop in Palmerston North creating the most amazing hats and fascinators. Spending time with her husband and dog are also super important to Anél – as well as baking and travelling. If you need to wrap some words around a task then Laura is Admin Army’s resident wordsmith. Her copywriting skills help clients to build their communications through blogs, newsletters, and social media. She’s also happy to tackle any other document that requires her magic touch along the way. When Laura’s not being creative for Admin Army, she’s often off exploring the world. 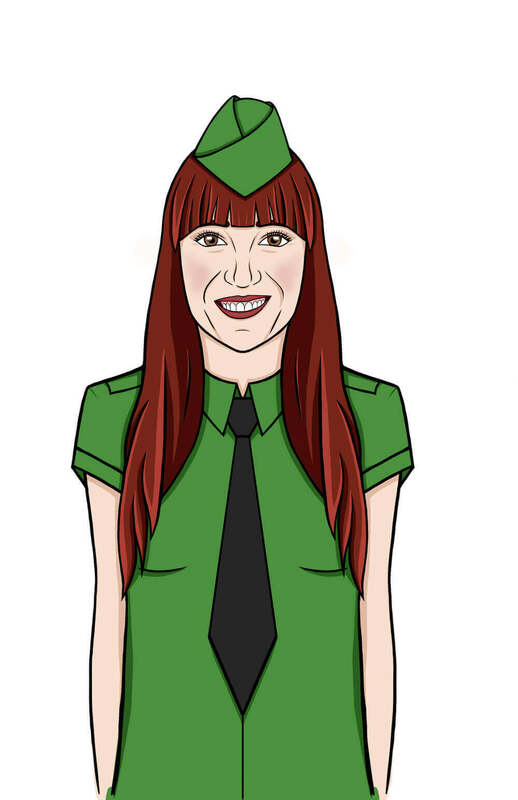 With her on-the-road lifestyle, being a virtual assistant for Admin Army is a dream job. Laura loves finding out about the businesses we work with; capturing their thoughts in words; spending time with friends and family; and travelling and studying creative writing. Every Army needs a demolition expert and Admin Army is no exception. 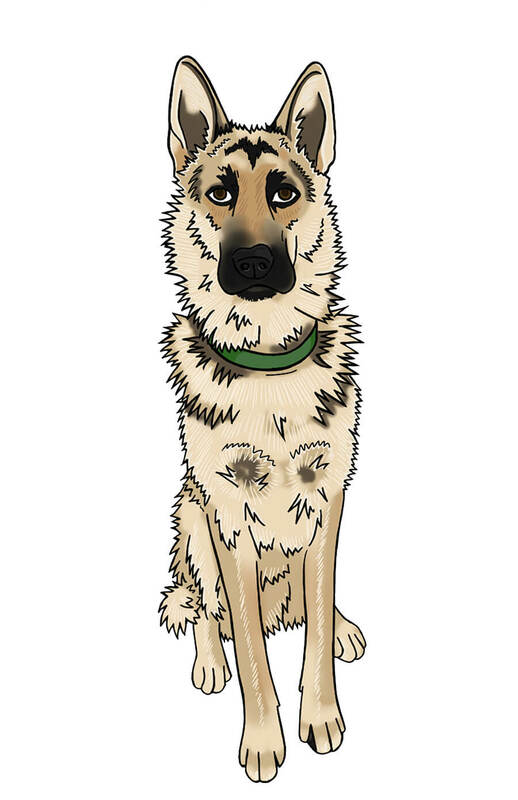 A German Shepherd/Husky by breeding: Gryff joined the team in August 2016 and has been running office demolitions ever since. 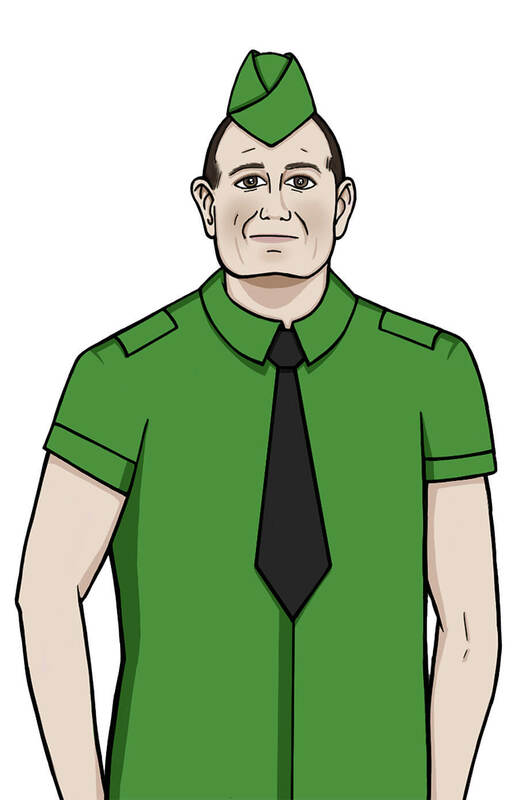 He’s also Head of Document Destruction and takes care of our social club. When Gryff isn’t hard at work being a personality to be reckoned with; he can be found chasing his ball, doing tricks for treats, or hunting sky grapes. Kerryn brings a wealth of powerful experience to the Admin Army team. With over 15-years’ experience in all aspects of administration – and as a small business owner herself – she certainly knows what she’s talking about. Kerryn has top-notch skills in the Office suite of products and is our first port of call for any formatting work that comes in the door. Kerryn is a wool connoisseur. In her spare time, you can find Kerryn crocheting up a storm, or if she’s had enough of crocheting, she’s knitting. Or if she’s not doing either of those, she’ll be working at her beautiful store Needle & Hook (we’re picking up on a bit of a theme here for Kerryn, are you? ).